The key to supporting healthy blood sugar levels is proper diet, balanced nutrition and moderate exercise. What do we mean by nutrition? Nutrition is the process of providing or obtaining the food necessary for growth, health and good condition. Nutrition is essential to life. We all know that it would be best to receive the nutrients we need from the food we eat. However, in our modern world this has become impractical and just about impossible. Modern food processing, fast food, poor food choices, and unbalanced diets contribute to inadequate intake of vital nutrients. Many of today's modern "foods" can actually rob the body of essential vitamins and minerals that it needs to support healthy blood sugar levels. If you can't get all the nutrition you need from food, you must supplement your diet with vitamins and minerals. 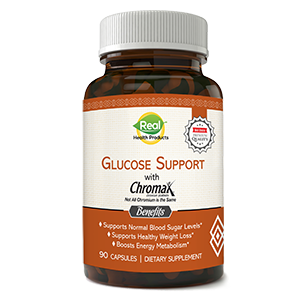 The RHP® Glucose Support Formula provides these key nutrients - vitamins and minerals, and important botanical extracts, which will help you get and maintain normal blood sugar levels. Phaseolamin, a nutritional ingredient extracted from kidney beans, helps "neutralize" the digestive enzyme alpha amylase before it can convert starch into glucose, which then turns into fat. Essentially, it allows the carbohydrates to pass through the system, possibly with less caloric intake. 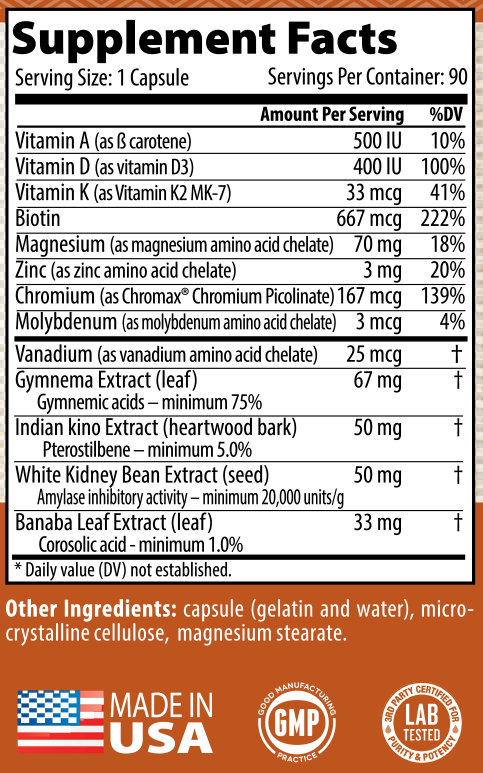 Vitamin A is an antioxidant. Antioxidants, as their name implies, help to prevent the damaging effects of oxygen and other harmful substances on your body's tissues. It also plays a vital role in bone growth, reproduction and immune system health. It is a vitamin that is essential to healthy vision. 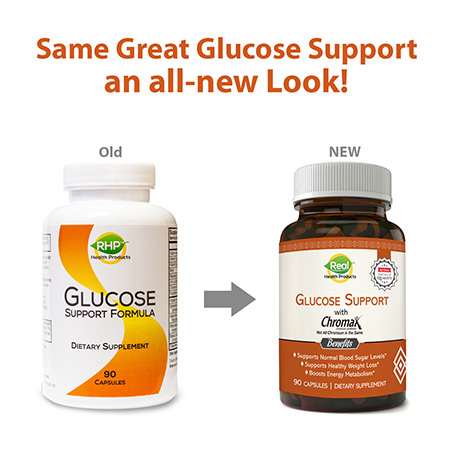 Order your RHP® Glucose Support Formula below and experience the results for yourself. Order the RHP® Glucose Support Formula Now!